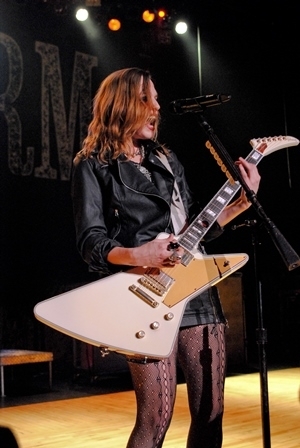 Halestorm took one last trip through Detroit before the holidays and staged their performance at the Royal Oak Music Theater. 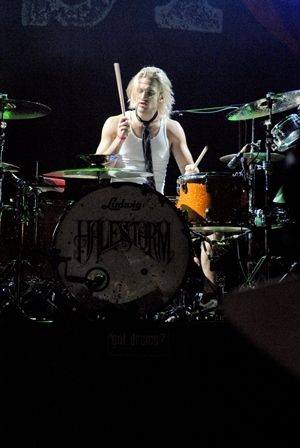 The crowd was ready for the impending ‘Storm (sorry- couldn’t resist). 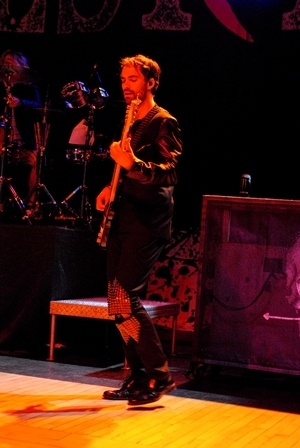 The band ran through songs from the latest full length, “The Strange Case Of…” The sophomore effort was well represented by ten tracks, one of which is a deluxe edition bonus track. 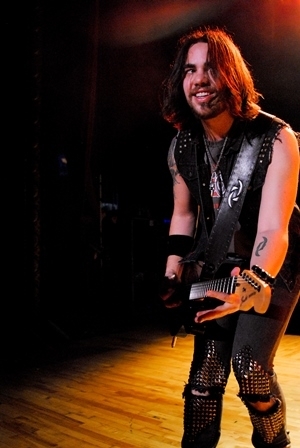 Added into the mix were three tracks from the latest covers EP, “ReAniMate 2.0.” Led by charismatic Lzzy Hale and her energetic brother, drummer AreJay, the band took the crowd on a journey that spanned their career. 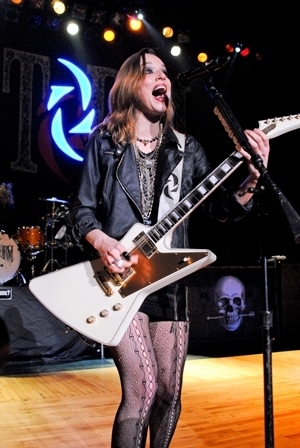 Guitarist Joe Hottinger and bassist Josh Smith are as integral to the sound and stage presence as the namesakes, but Lzzy commands control of the stage and gives the audience everything she has. 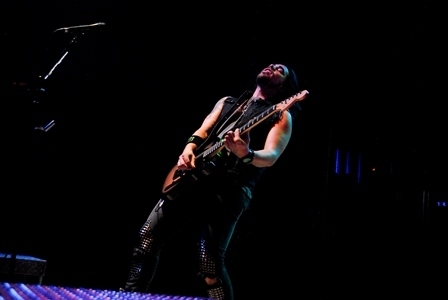 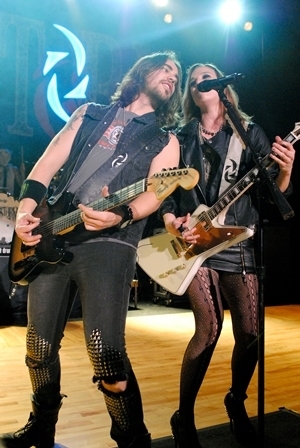 As the band played through the set list, the audience responded overwhelmingly when the five representative tracks from the debut offering, “Halestorm,” was played – especially “It’s Not You” and “I Get Off.” When the band slowed things down, it didn’t seem to affect the bands or crowds energy. 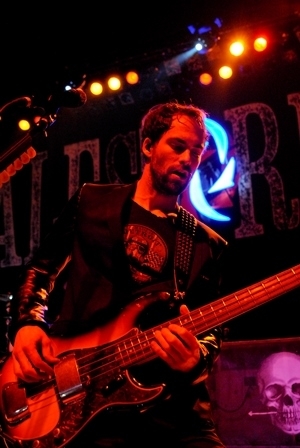 In fact, it was as if the moments were simply spots to breath before the band rocketed off with the next track. 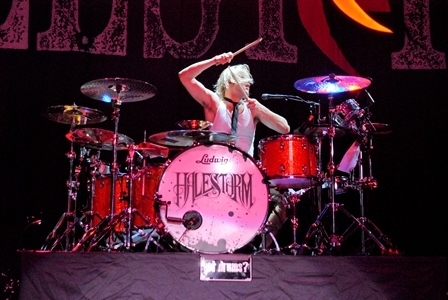 Even the drum solo, which is normally a cue to grab a drink or hit the restroom, kept the audience alive and mesmerized. 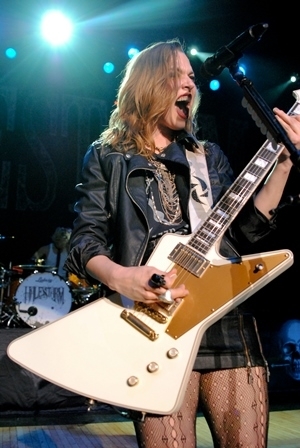 From Grammy Winner and set opener “Love Bites” to the anthemic “Here’s To Us,” Halestorm did what they do best – they rocked and entertained their Detroit fans.